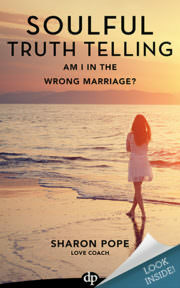 Am I in the Wrong Marriage? Getting the clarity you need to make a decision to stay and re-commit or lovingly leave your relationship and what to do next. 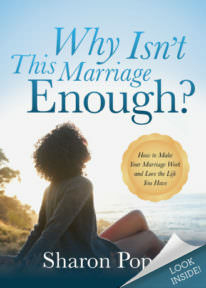 This is the second book in the Soulful Truth Telling series written for the women (and men) that find themselves struggling in their relationship and stuck in indecision. I Know It's Over. Now What? A woman’s guide to navigating the waters of divorce when you know the marriage is over. When that realization sets in that your marriage is over, it’s paralyzing. When one of the biggest questions in our lives get answered, it only leads us to even more questions. And those questions can keep us stuck. 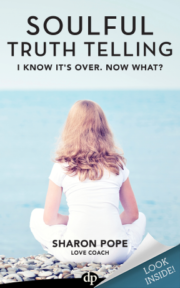 Soulful Truth Telling will gently guide you through this time with both the practical tools and not-so-pragmatic insights so that you don’t remain stuck in the questions and you’re able to move into the answers. Why Can't I Get Over Him? When we’re in that pit of pain, we don’t know how we’ll ever get over him or get out alive. We don’t know how we’ll ever move on and we certainly can’t see our way to ever finding a love like that again. 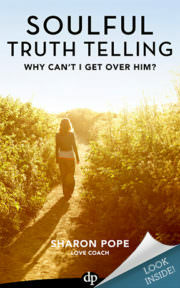 This is the third book in the Soulful Truth Telling series for women who are struggling to move beyond a painful breakup or divorce. Finding and creating lasting love has very little to do with what you’re doing and so much more to do with who you’re becoming. Why Isn’t This Marriage Enough? Why Isn’t This Enough? is for the woman who has everything she’s ever wanted: the nice husband, the healthy kids, the big home, even the career of her choosing. From anyone else’s perspective, her life looks enviable. Then why isn’t this enough? And how can she make it be enough? 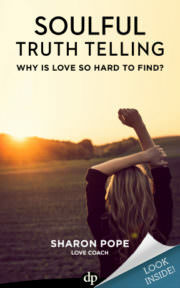 Part memoir, part self-help for women struggling to find love later in their lives. 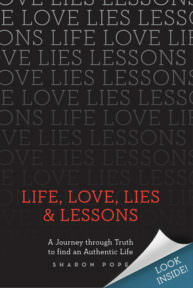 An emotional journey through truth to find a life worth living, a faith worth revealing and a love worth sharing. Our children are wise. Sometimes more wise than we give them credit for. Maybe, as women, we could learn a few things from the children in our lives about how to be happy and joyful. 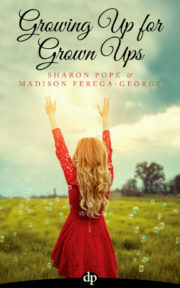 Sharon wrote this book alongside her 17-year-old niece, Madison Ferega-George. At times, I’ve questioned if I’ve read every self-help book on the market, from Melody Beattie to Brené Brown to Wayne Dyer to Caroline Myss; they are all on my bookshelf. When I read your book I felt as though you wrote it for me. Although our stories are very different, they are oddly similar in the underlying issues. I have been living my life in fear and not trusting myself. Thank you for being brave enough to share your life so I can have the courage to live mine.